Celebrity Chefs, Sommeliers and food and wine enthusiasts from across the country unite to celebrate Texas wines and culinary delights at Charlie Palmer’s in this one-of-a-kind epicurean weekend. 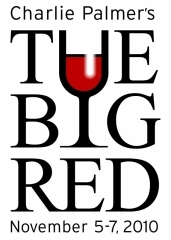 The Joule Dallas will host the inaugural The Big Red, a weekend benefit for the North Texas Food Bank.Â You can participate in the culinary and wine tasting events only or stay over as part of a weekend package. There are 4 events that include a cooking competition betweenÂ Charlie PalmerÂ and Dean Fearing against Bryan andÂ Michael Voltaggio,wine tastingÂ and competition against area sommeliers, a food competition amongst the top chefs inÂ Dallas, and a gala on Saturday evening. The events are benefiting theÂ North Texas Food Bank. The event filled weekend includes an unprecedented group of talented food and wine professionals coming together with fellow enthusiasts, to taste and toast as we celebrate Texas wine and agriculture. Guests will sample more than 20 Texas wines paired with selections from Dallas’ leading restaurants and national celebrity chefs, including Michael and Brian Voltaggio. For more information, please seeÂ www.thejouledallas.com/thebigred.Â Â Support a great cause and enjoy a most memorable weekend.